Iuka was founded in 1857 and is the county seat of Tishomingo County. Iuka is built on the site of a Chickasaw Indian village that is thought to have been subordinate to the settlement at Underwood Village. Iuka is named after Chief Iuka, pronounced eye-you-ka, which is actually a contraction for the longer name of Ish-ta-ki-yu-ka-tubbe. The Chief was an endorser for the Treaty of Pontotoc Creek, dated October 20, 1832. Further information on the treaty can be found at – http://digital.library.okstate.edu/kappler/vol2/treaties/chi0362.htm. Woodall Mountain located 5 miles southwest of Iuka is the only state high point that was subject to a battle during the Civil War. The Battle of Iuka was on September 19, 1862. Woodall Mountain was renamed in 1887 in honor of Tishomingo Sheriff Zephaniah H. Woodall. Woodall Mountain is the highest point in Mississippi. 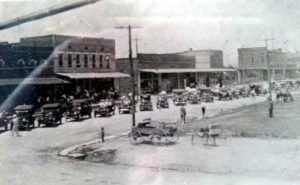 Iuka is rich with history, steeped in culture. There is much to do and see in Iuka. There are several historic homes from the Civil War period and before still standing today. Visit the Old Tishomingo County Courthouse Museum, Cappleman’s Antiques, Mineral Springs Park and so much more. Iuka has much to offer tourists and residents alike.